After World War II, the Allies partitioned the defeated Germany into a Soviet-occupied zone, an American-occupied zone, a British-occupied zone and a French-occupied zone. Berlin, the German capital city, was located deep in the Soviet zone, but it was also divided into four sections. In June 1948, the Russians–who wanted Berlin all for themselves–closed all highways, railroads and canals from western-occupied Germany into western-occupied Berlin. This, they believed, would make it impossible for the people who lived there to get food or any other supplies and would eventually drive Britain, France and the U.S. out of the city for good. Instead of retreating from West Berlin, however, the U.S. and its allies decided to supply their sectors of the city from the air. This effort, known as the “Berlin Airlift,” lasted for more than a year and carried more than 2.3 million tons of cargo into West Berlin. As World War II came to an end in 1945, the Allied powers held peace conferences at Yalta and Potsdam to determine how they would divide up Germany’s territories. The agreements split the defeated nation into four “allied occupation zones”: They gave the eastern part of the country to the Soviet Union and the Western part to the U.S. and Great Britain. In turn, those nations agreed to cede a small part of their territories to France. Did you know? During the Berlin airlift, an Allied supply plane took off or landed in West Berlin every 30 seconds. The planes made nearly 300,000 flights in all. Even though Berlin was located entirely within the Soviet part of the country (it sat about 100 miles from the border between the eastern and western occupation zones), the Yalta and Potsdam agreements likewise split the German capital into Allied sectors: The Soviets took the eastern half, while the other Allies took the western. This occupation of Berlin, governed by a multipower agency called the Kommandatura, began in June 1945. The Soviets were dissatisfied with this arrangement. Twice in recent memory, they had been invaded by Germany, and they had no interest in promoting that country’s reunification–yet it seemed that was exactly what the United States, Great Britain and France had in mind. For example, in 1946 the Americans and the British combined their two sectors into a single “Bizonia,” and the French were preparing to join as well. In 1948, the three western Allies created a single new currency (the Deutsche Mark) for all of their occupation zones—a move that the Soviets feared would fatally devalue the already hyperinflated Reichsmarks that they used in the east. For the Soviets, it was the last straw. The Russians were also concerned about a unified West Berlin: a capitalist city located right in the middle of their occupation zone that would likely be powerfully and aggressively anti-Soviet. They decided that something needed to be done to stop this creeping unificationism. They withdrew from the Kommandatura and began a blockade of West Berlin, a maneuver that they hoped would effectively starve the western powers out of Berlin. 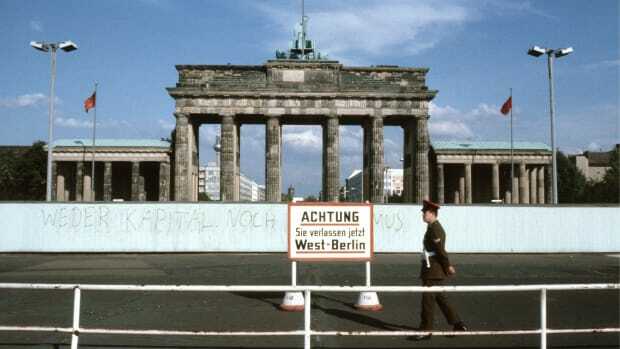 If West Germany was to become its own country, they argued, then Berlin, located more than 100 miles from its border, could no longer be its capital. On June 15, 1948, the Soviet authorities announced that the Autobahn, the highway connecting western Germany to Berlin, would be closed indefinitely “for repairs.” Then, they halted all road traffic from west to east, and barred all barge and rail traffic from entering West Berlin. 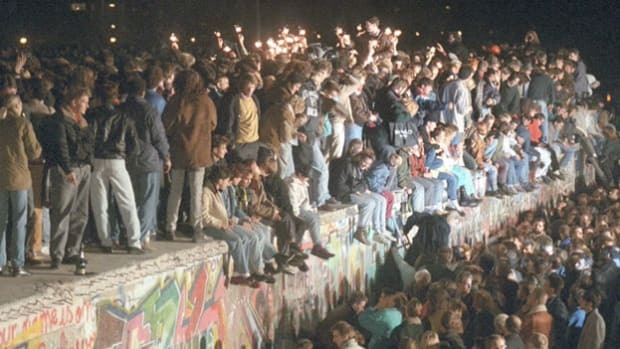 Thus began the blockade of Berlin. As far as the western Allies were concerned, withdrawal from the city was not an option. 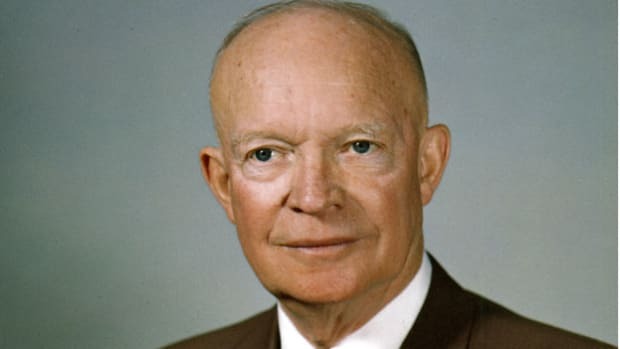 “If we withdraw,” said the American military commander, “our position in Europe is threatened, and Communism will run rampant.” President Harry Truman echoed this sentiment: “We shall stay,” he declared, “period.” Using military force to strike back against the Soviet blockade seemed equally unwise: The risk of turning the Cold War into an actual war—even worse, a nuclear war—was just too great. Finding another way to re-provision the city seemed to the Allies to be the only reasonable response. The Berlin airlift was supposed to be a short-term measure, but it settled in for the long haul as the Soviets refused to lift the blockade. For more than a year, hundreds of American, British and French cargo planes ferried provisions from Western Europe to the Tempelhof (in the American sector), Gatow (in the British sector) and Tegel (in the French sector) airfields in West Berlin. At the beginning of the operation, the planes delivered about 5,000 tons of supplies to West Berlin every day; by the end, those loads had increased to about 8,000 tons of supplies per day. The Allies carried about 2.3 million tons of cargo in all over the course of the airlift. By spring 1949, it was clear that the Soviet blockade of West Berlin had failed. It had not persuaded West Berliners to reject their allies in the West, nor had it prevented the creation of a unified West German state. (The Federal Republic of Germany was established in May 1949.) On May 12, 1949, the Soviets lifted the blockade and reopened the roads, canals and railway routes into the western half of the city. 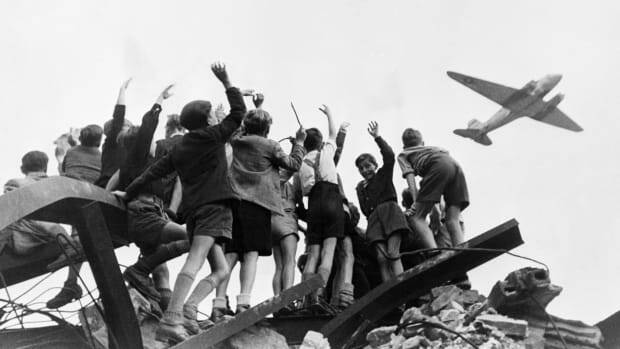 The Allies continued the airlift until September, however, because they wanted to stockpile supplies in Berlin just in case the blockade was reinstated. Most historians agree that the blockade was a failure in other ways, too. It amped up Cold War tensions and made the USSR look to the rest of the world like a cruel and capricious enemy. 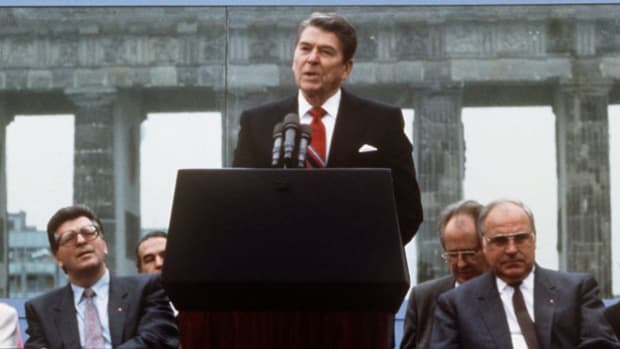 It hastened the creation of West Germany, and, by demonstrating that the U.S. and Western European nations had common interests (and a common foe), it motivated the creation of the North Atlantic Treaty Organization (NATO), an alliance that still exists today.